I have used this product for over 10 years. I even use it on my eye area after I built up using the 10%. It’s been a foundation and staple in my skin care, and takes care of making my skin even toned and exfoliated. Love it! My bottle came yesterday with a slight tint of yellow. Isn't it just heart breaking to pay so much for this little bottle, just to see it's already on its way to oxidation? I won't question the freshness of skincarerx stock, but my order took over a week to arrive. 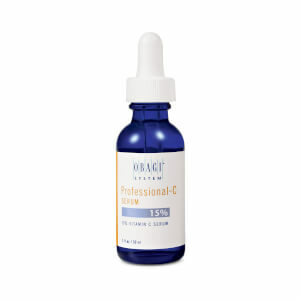 Obagi vit C is said to oxidize quickly, and this summer heat definitely has helped it out. Something for potential customers to consider. Next time, I'll consider a better shipping option. I have used this for quite some time. I would not be without it. It has really helped my skin with dark spots and roscea. This product seems to be working well. 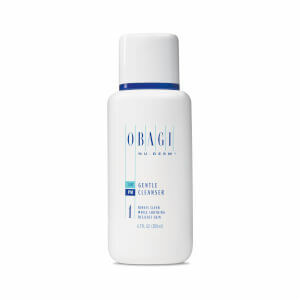 I'm new to Obagi, but like it thus far. The scent is strong at first, but does not linger long. Overall, a good product. Love this product!had an age spot on my cheek. Could hAve tried to have it removed with a laser, but I tried this instead. It lightened the spot up to the point where it is barely visible! I started using this serum two yeas ago and I am very happy with the result. Next best thing I've found to Skinceuticals CE Ferulic which is getting ridiculous with price. Thankfully Obagi products are a scientifically-proved line. I purchased two additional products to the AM and PM regimen. These are great products. I have used this serum for several years and love it. I use it every morning and it has helped brighten my skin.